The first step in the whole process was to ensure that the command module's cabin was pressurised with air up to its maximum extent, about two-fifths of an atmosphere. This was in preparation for later when, to save the LM's scarce resources, its initial air supply would be drawn from the CM cabin air. Valves on each side of a tunnel that would eventually connect the two spacecraft would then allow air to be exchanged between them. While the crew worked through the TD&E checklist, the APS modules at the aft end of the S-IVB, which controlled the stack's attitude, fired to bring it to the correct orientation for the manoeuvres. 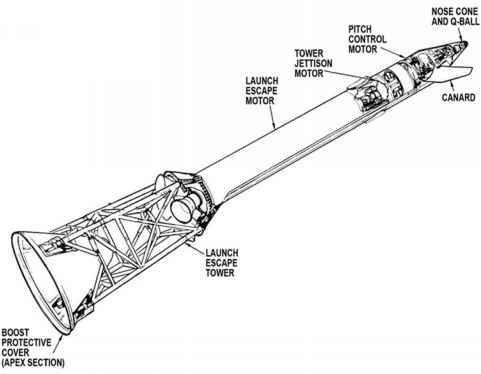 Planners had calculated the most appropriate attitude for the S-IVB to adopt to avoid the CMP being blinded, either by the Sun or by reflections from the lander's metal surfaces, yet give good illumination of a docking target mounted on the LM that was to aid the alignment of the two craft as the CSM came in to dock. The CMP could monitor the whole manoeuvre using the entry monitor system (EMS), an example of a piece of equipment that was meant for one purpose being pressed into service for another. The EMS was a unit built into the main console that was to monitor the spacecraft's re-entry into Earth's atmosphere at the end of a mission. One of its displays was a digital readout that showed how many nautical miles they still had to travel during a re-entry before landing in the ocean. It was switched to display how many feet separated the CM and an approaching LM when the crew were performing a rendezvous. For other manoeuvres, it could display how their speed was changing in response to the thrust produced by the engines. This versatile unit could also send a shut-down command to the engines once a preset change in speed had been accomplished. Most of these functions were for later, but for the TD&E, the command module pilot was interested in knowing how his speed, or to be more precise, his velocity had changed - a quantity known as delta-v. In space flight, and in physics in general, an important difference is made between speed and velocity. Speed simply defines distance travelled over a set time. No account is taken of the direction of travel. With velocity, direction becomes part of the equation. In the three-dimensional arena of space, it is customary to measure speed after resolving it into three components of velocity. Therefore some frame of reference has to be brought into play where the directions of left/right, up/down and backwards/forwards are defined, usually labelled x, y and z. As an example of how this works, an object whose velocity is 3 metres per second along the x axis and 4 metres per second along the y axis is actually travelling at 5 metres per second in a direction somewhere between these two axes by simple application of the Pythagoras Theorem. Unlike the spacecraft's main guidance system, which resolved delta-v in three axes, the EMS measured it along one axis only - in this case, along the spacecraft's longitudinal axis - and displayed it on the digital readout in feet per second. It had its own accelerometer (a device that measured velocity changes), whose sensitive axis was aligned parallel to the spacecraft's long axis. The delta-v display could therefore be used by the CMP to monitor how thruster firings were affecting the spacecraft's velocity as he separated from, and manoeuvred relative to, the S-IVB. Before separation, he could zero the display, then directly read off how his velocity had altered with respect to the stage. However, pilots on the early missions had noticed that the delta-v display did not work well around the zero mark, so they began presetting it to read minus 100 feet per second, which gave better results and was easier to interpret. A step was eventually included in the checklist to this effect.